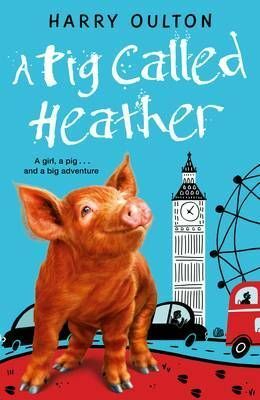 Quirky, funny and heart-warming - you'll never forget Heather, the pig in a million. Heather's best friend is a girl called Isla, who lives with her dad on a farm in Scotland. Their idyllic life together is shattered when a thunderstorm destroys the farm and forces Isla's dad to sell up and move to London - leaving Isla and Heather miles apart and utterly miserable. Then fate intervenes, turning Heather from an everyday pig into a national celebrity, and catapulting her to fame, fortune and, most excitingly of all...London. Armed only with her own pig-headedness, Heather embarks on a quest to track down her best friend. After all, how many girls with freckles can there be in London?